The Okie Derby Proficiency Air Rally, sponsored by the Oklahoma Chapter Ninety-Nines. Since 1990, the Okie Derby has generated more than $70,000 for funds for aviation scholarships. The Oklahoma Chapter of the Ninety-Nines relies on the support of the aviation event to help achieve the goal for driving funds for the “Wings of the Future Scholarship”. 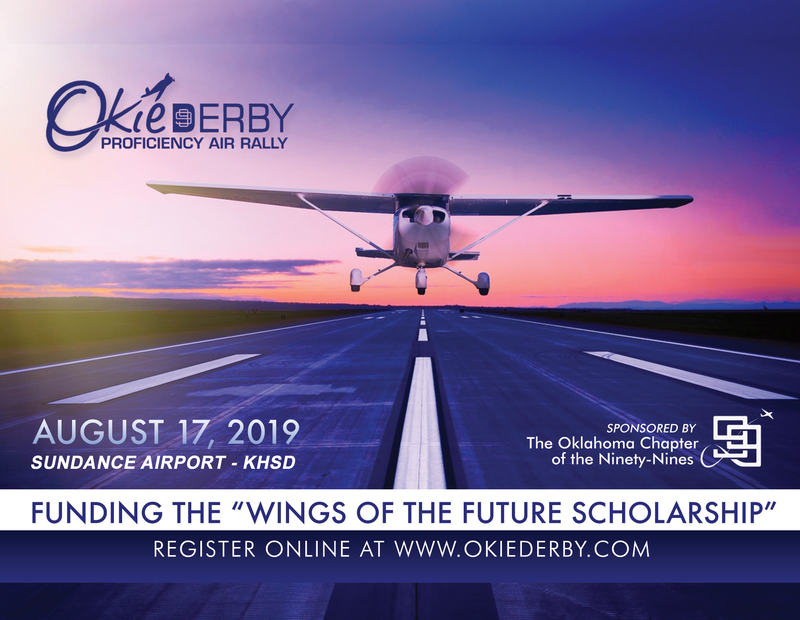 Through this yearly event for the scholarship program, it helps encourage interest in aviation, as well as helps Okie Derby participants polish their piloting skills for this wonderful event. 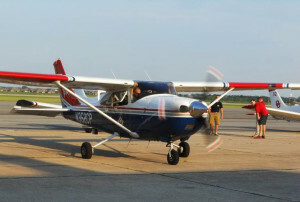 If you want to have FUN and POLISH your flying skills then the Okie Derby Proficiency Air Rally is the Place for you! The Okie Derby is a cross-country proficiency event of approximately 200 nautical miles in length for single, multi-engine aircraft & experimental aircraft (piloted by builder) to be flow during daylight hours under VFR conditions and conducted on a handicap system. Entrants will submit speed handicaps to the nearest nautical mile per hour and fuel estimates to the nearest 10th of one gallon for the aircraft they will be flying in the Okie Derby. The objective of the Derby is to demonstrate the ability of the contestant to fly a cross-country course in such a manner as to most closely equal the contestant’s speed and fuel estimate. The Okie Derby is limited to commercially certificated stock model fixed wing aircraft possessing a range of 225 miles without refueling. 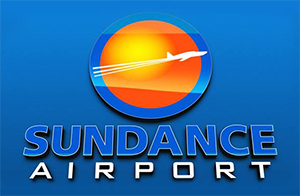 Aircraft must have a current annual and/or must be within their 100 hour inspection, if applicable. All aircraft must have proper entries in their log book. Aircraft must have communication capability in the frequency rage of 118.0 to 129.5 MHz. Each contestant must carry a minimum of bodily injury liability and property damage liability insurance on the aircraft to be flown in the Derby. A certificate issued on the insurance company’s form is acceptable provided it describes or names the event, date(s) or insured’s participation and the Limits of Liability. Please help support the ‘Wings of the Future’ Scholarship Fund, in assisting women in their dream to fly. Post your Okie Derby Photos on our Official Facebook Page!